Depart on your scheduled flight from Singapore to Bandung. Upon arrival at Bandung Airport, Meet &amp; Greet by our local representative / driver then transfer to check in to your choice of hotel. Free at own leisure after that. Breakfast at the hotel. Today you will be enjoying full day shopping tour in Bandung. Firstly, visit to Pasar Baru. Then continue tour some famous Factory Outlets at Jalan Setaibudhi such as Rumah Mode, etc and also to DIAZ where is famous for shoes and bag. After that, continue to Jalan Riau and shop at The Summit and Heritage. Lunch and Dinner will be at your own expenses. After a day of shopping spree, return to hotel for rest. Breakfast at the hotel, Free at your own leisure after that. Hotel check-out time is usually 12 noon. Transfer will be provided for you from the hotel to the airport for your departure flight. Itinerary subjects to changes with / without prior notice due to unforeseen circumstances. Guide services will only be provided for group with 10 passengers or more. Welcome to Jakarta! 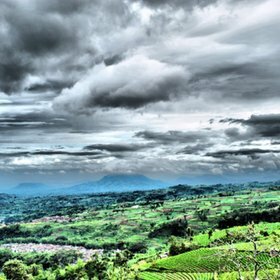 Sit back and relax on the delightful drive through the Cipularang highway to Bandung. 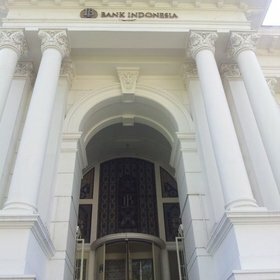 Your today’s Bandung city orientation includes Asia Afrika Museum and Satay Building (Gedung Sate). Soak up the Pasar Baru Trade Centre for bargain Hunting and stroll through the city atmosphere along Jalan Cihampelas, which offers a huge collection of jeans. Nearby is Cihampelas Walk, frenzied atmosphere that blend Cihampelas road between rows of shops and vehicle congestion, will not be felt. Later check-in to hotel, relax and unwind. Dine tonight at Raja Rasa Rest. Check in to hotel, relax and unwind. Today enjoy a scenic drive through Lembang,the hilly plantation area, to the Tangkuban Perahu Volcanic Crater. Cihideung Village, in the northern part of the city, display the remains of what has made Bandung always associated with flowers. Strawberry Farm where the strawberry growth. Lunch today will be at the Sapulidi Makan Disawah Resort Café included. Bandung is a lifestyle destination where modern fashion style shopping is. Stroll through the Riau and Setiabudi Street where the leadings factory outlets are. Balance of the time is yours to discover the city on your own. Today, drive back to Jakarta through the Cipularang Highway. Sight in Jakarta city is a great experience to feel the atmosphere and the social life of the city. The sights includes explore Jakarta’s old city; Sunda Kelapa, Fatahillah Square and Glodok, the oldest China Town in Jakarta. The new Jakarta will be explored driving through the Merdeka Square, and view the Presidential Palace and photo stop in front of the National Monumen, and visit the Indonesian Miniature Park. Today’s Lunch will be at the Simpang Raya Restaurant included. Check in to the hotel, spend the rest of the evening relaxing or explore the city at night on your own. It is time to say “Sampai Jumpa Lagi” to Jakarta. Transfer is provided to the airport for your flight home. Depart on your scheduled flight from Singapore to Bandung. Upon arrival at Bandung Airport, Meet &amp; Greet by our local tour guide. After that, depart on Bandung sightseeing city tour with lunch at local restaurant. Check in to your choice of hotel for rest. Breakfast at the hotel. Depart to Tangkuban Perahu where you will have volcano tour there. It is very famous with the biggest crater ‘Ratu Ciater’. Continue tour to visit Ciater Hot Spring. Lunch will be served at Indonesian Food Restaurant. After that, back to Bandung enjoy shopping tour to Factory Outlet at Rumah Mode, Jl. Riau &amp; Jl. Dago. Dinner at local restaurant. After dinner, back to hotel for rest. Depart on your scheduled flight from Singapore to Bandung. Upon arrival at BandungAirport, Meet &amp; Greet by our local tour guide. After that, depart on Bandung sightseeing city tour with lunch at local restaurant. Check in to your choice of hotel for rest. Breakfast at the hotel. Depart to Tangkuban Perahu where you will have volcano tour there. It is very famous with the biggest crater ‘Ratu Ciater’. Continue tour to visit Ciater Hot Spring. Lunch will be served at Indonesian food restaurant. After that, back to Bandung and enjoy shopping tour around the city. Dinner at local restaurant. After dinner, back to hotel for rest. After breakfast, depart on full day shopping tour. You will be visiting to Cihampelas Jeans Center that very well known with Jeans product. After that, continue tour to very well known factory outlets in Bandung such as Heritage etc. Lunch and Dinner will be served at local restaurants. After a day of shopping spree, return to hotel for rest. Breakfast at the hotel, Free at your own leisure after that. Hotel check-out time is 12 noon. Transfer will be provided for you from the hotel to the airport for your departure flight. Upon arrival at Hussein Sastranegara Airport Bandung you will be met and greet by our local representative then visiting Mt. Tangkuban Perahu where you can enjoy the beautiful scenery of kawah Ratu (Crater ) Sari Ater Hot spring as popular place with Natural warm water. Lunch at local restaurant. Then Shopping at Rumah Mode, Mode Plus, Donatello and Cihampelas Jeans Street. Overnight in Bandung. After breakfast at hotel, Shopping program will visit Cibaduyut area for shopping shoes, bags made from leather, then visit Pasar Baru shopping complex. Lunch at local restaurant. Then shopping at Toko Tiga Original Jeans Store, Bali Heaven factory outlet, etc.Overnight in Bandung . After breakfast at hotel, transfer to airport for departure. Hotel Accommodation at selected hotel with daily breakfast. Meeting service upon arrival at Soekarno Hatta Airport, then proceed to Bandung via highway,en route you will visit TMII. Arrival Bandung shopping to some factory outlet at Jalan Riau like Heritage, Cascade, The Stamps, The Summit etc then transfer to hotel for check in. After breakfast at hotel, You will Visit Mt. Tangkuban Perahu where you can enjoy the beautiful scenery of Kawah Ratu (Crater) Sari Ater Hot spring as famous place with natural warm water. Lunch at local restaurant. Then Shopping at Rumah Mode, Mode Plus, Donatello etc. Overnight in Bandung. After breakfast at hotel, visit Pasar Baru Shopping Complex. After Lunch, Shopping at Toko Tiga Original Jeans Store, Bali Heaven Factory Outlet .Drive back to Jakarta via Highway, arrival Jakarta transfer to hotel for check in. Upon arrival at Soekarno - Hatta Airport, you will be met and greet by our local representative then transfer to Puncak Visiting National Monument, Indonesia in Miniature park. Lunch at local restaurant. Then visit Safari Park, where you can see animal life in their habitat. Overnight in Puncak . After breakfast at hotel,drive through to Bandung,. Enroute you will stop at Local Product in Cianjur, West Java. Arrival Bandung visit Mt. Tangkuban Perahu where you can enjoy the beautiful scenery of Kawah Ratu (Crater), Sari Ater Hot spring as famous place with natural warm water. Lunch at local restaurant. Then Shopping at Rumah Mode, Mode Plus, Fashion Word Factory outlet. Over night in Bandung. After breakfast at hotel, then Shopping at Pasar Baru Complex, Toko Tiga Jeans Store, Batik Factory, Stamp Factory Outlet, Heritage, The Summit, For Men Factory Outlet. Over night in Bandung. After breakfast at hotel, visit Bali Heaven Factory Outlet. After lunch, drive back to Jakarta via Highway. Arrive in Jakarta Visit Mangga Dua Shopping complex. Breakfast at hotel. Free program until transfer to airport. Upon arrival, transfer to hotel for check in. Enjoy your free &amp; easy day. Pick up at 8:00am. 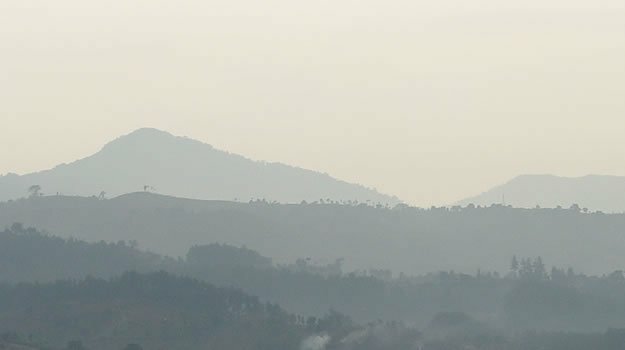 Full day tour to Tangkuban Perahu Mountain, it is located about 30 kilometers north of Bandung. Passing the Chideung Flower plantation, and visit Vipassana Graha, the Buddha temple in Lembang. This beautiful place is located in Lembang area, approximately an hour from Bandung city. The biggest crater that was in the peak of this mountain was named Queen's Crater. Then process to the tour visiting Sari Ater Hot Spring. It's located approximately 1500 meters above sea level on the slope of Mt. Tangkuban Perahu or half hours from Tangkuban Perahu. This area features fresh mountain air and natural hot water which is delivered from Tangkuban Perahu, the natural hot water contains Sulphate, Calcium other mineral which believed can relief skin, muscle, and bone problems such as Rheumatic disease. Afternoon shopping at Rumah Mode and Factory outlet. Pick up at 8:00 am, Full day tour program start from Pasar Baru, Bali Heaven, Riau and Dago Street walk along the street and you will find a lot of Factory Outlets, such as Summit, Oasis, Branded Club, Cascade, Terminal Tas, The Secret, Formen and Heritage, it's the famous one Factory Outlet in Bandung. Afternoon, transfer to Bandung Trans Studio to enjoy the indoor theme park with more than 20 games. Today, meet at lobby and proceed to the Bandung International Airport by private transfer for your flight home. Upon arrival, meet up with our representative and proceed to the hotel of your choice by seat-in-coach transfer. Today, meet at lobby and proceed to the Bandung International Airport by seat-in-coach basis for your flight home. Bandung, to see the famous overturned boat mountain of Tangkuban Perahu and Ciater Hot Spring, visit Lembang`s flower market, Cihampelas Jeans corner for shopping. 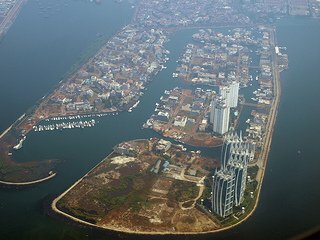 kota Cipanas., stay at a mountainious resort where we can enjoy the cool climate of countryside and tea plantations., Jakarta, visit Taman Mini Indonesia Indah or Indonesia Beautiful Miniature Park., visit the Art Market of Ancol, Dreamland (also known as Pasar Seni) for souvenir hunting. From Cipanas, we travel to Bandung, the capital city of West Java. On our way there we will stop to see the famous overturned boat mountain of Tangkuban Perahu and Ciater Hot Spring . next, we will visit Lembang`s flower market before staying overnight in Bandung and Cihampelas Jeans corner for shopping. We will return to Jakarta today. There we will visit Taman Mini Indonesia Indah or Indonesia Beautiful Miniature Park. Here you can see traditional houses and different cultures of Indonesia`s 32 provincies. Next, we will visit the Art Market of Ancol, Dreamland (also known as Pasar Seni) for souvenir hunting. Free program for today until your flight departure. That is the end of our memorable tour, we hope to see you again. Bandung is not only known as the capital city of West Java. This city of flower is also well known as a favorite tourist destination. There are a lot of tourist destinations in Bandung which offer you historic atmosphere, beauty of nature, as well as richness of fashion. Choosing holiday package to Bandung will definitely make your holiday splendid. There are also impressive tour packages offered by many tour agents for you. With all of those interesting offers, there is no more reason to skip a holiday in Bandung. There is a long list of tourist destinations in Bandung, especially for those who love city or nature trip. Holiday package for Bandung city trip usually offers you a visit to historical sites, such as Sate House, Grand Mosque, Merdeka Building, Hotel Savoy Homann, Villa Isola, and Braga Street, as well as to popular shopping centers, for example Cihampelas Walk, Pasar Baru, Cibaduyut Area, the Heritage, and Rumah Mode. However, if you prefer to enjoy the nature tour package, you can visit Kawah Putih, Tangkuban Parahu Volcanic, Lake Situ Patenggang, Ciater Hot Spring, Kawah Ratu, or Strawberry Gardens in Ciwidey. All of those places make Bandung able to provide you a super complete holiday tour, starts from nature trip, city trip, historical trip, shopping trip, and food trip. 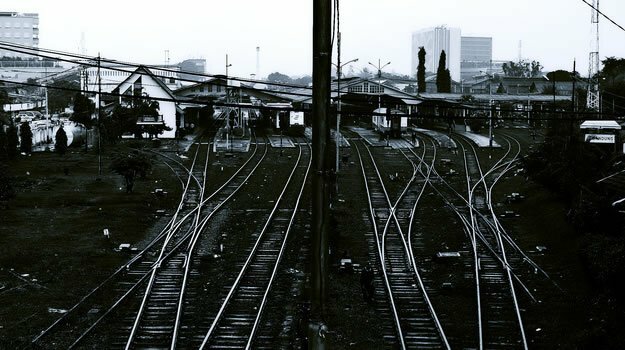 As you may notice, the uniqueness of Bandung lies on the combination of historic and modern trip. Bandung’s historical places are as fascinating as famous shopping centers, such as Rumah Mode. The predicate of Paris van Java was not addressed ineptly to Bandung. The beauty of this city that is enlivened by various factory outlets may become main reason why Bandung gets its predicate. With all of those attractive magnets, Bandung could be your right choice to spend holiday with family, friends, or all by yourself.